Until La Shanda Hurst took the mic, the conference room full of new Microsoft employees was quiet enough to hear a PowerPoint slide click. On a recent early morning at the company’s Redmond, Washington, headquarters, several hundred people sat silently sipping coffee and juggling the nerves and excitement of a first day at a new job. Then Hurst, Microsoft Philanthropies program manager, moved to the front. “Good morning everyone!” she called as a giant photo of a little girl in a red T-shirt leaning in toward a tall man appeared on the room’s display screen. 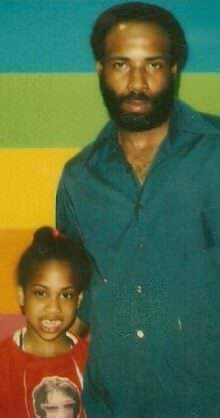 La Shanda Hurst and her dad, Leslie E. Hurst. “This is my dad,” Hurst began. And what a dad: one who attended all of Hurst’s school events and cheerleader meets; escorted her to her Debutante Ball, for which he learned how to waltz; chaperoned her senior prom; and threw her a shindig afterward “because he wanted to be with me at the after party. It was just that deep,” Hurst recounted of their relationship. The new employees leaned forward in their chairs. Just months later, on her way home for Christmas as she stepped off the plane, Hurst learned that her beloved dad had succumbed to colon cancer. Hurst didn’t tell this story to park a rain cloud over the new employees. Although the love and loss of an influential father might not seem to be connected to the mission of one of the world’s largest technology companies, it is. Hurst shared her personal story because it’s tightly linked to the culture and experience of being a Microsoft employee. As part of a multifaceted, constantly evolving giving program, employees are invited to volunteer and give to the causes and organizations that are personally meaningful to them—as Hurst has done with cancer-focused organizations since she came to work here. As she does weekly, Hurst explained to the new employees what Microsoft’s giving program offers and how they could affect the world with it. [This program] enables me to do more good than I otherwise would be able to. . . . It almost gamifies the process. Microsoft matches each employee’s donations of money, products, and time to nonprofits, up to $15,000 a year. The match of volunteer time is $25 per hour that an employee volunteers. Donations and time can be easily logged in an online system; donations can be withdrawn automatically from paychecks; and if employees aren’t sure where to begin, Microsoft has a database of more than 55,000 nonprofits and schools to choose from. If employees don’t see the one they love, they can nominate it to be added. After Hurst explained the details, the conference room was awash with excited murmurs. A few full-throated whoops flew. Both employees who regularly volunteer or donate and those who haven’t interacted with a nonprofit since their days selling Girl Scout cookies realized what the program meant. Making a difference in the world through their personal passions would be easier for them, more compatible with their jobs, and more beneficial to the causes they care about than ever before. The program, which helped employees donate 700,000 volunteer hours last year alone, is a catalyst for making an impact. Microsoft’s employee giving program, which the company has been evolving since its inception and which has generated a total of $1.6 billion according to its recently released annual results, redefines how people can harmonize theirs careers with their instincts to do good. The program began in 1983, back when teams of employees would compete with one another to raise funds and win the chance to dunk then-CEO Bill Gates in the campus lake. Microsoft launched its first employee Giving Campaign with United Way, and $17,000 was raised for the community. In 1990, the program was opened to other eligible US-based 501c3 organizations. Another milestone came in 2005, when the company introduced the volunteer matching program, known in the philanthropy world as “dollars for doers.” When the benefit began, employees who volunteered a minimum of 10 hours would earn $17 per hour for the nonprofit. The volunteer time matching, which is now $25 per hour, has been, according to feedback, the single biggest motivator for many employees to get involved with a cause they care about. In recent years, Microsoft has evolved the program to increase its accessibility to even more employees. The program expanded to interns in 2014. The minimum volunteer hour rule was reduced and then eliminated in 2016; the annual company donation match limit and the hourly volunteer match rate were both increased. 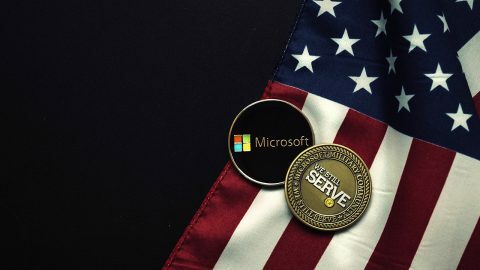 Two years ago, the company also formed Microsoft Philanthropies, a new organization to lead the company’s philanthropic efforts, including employee giving. Employee participation in the giving program rose to 75 percent in 2017, and total dollars to nonprofits increased $14 million from the prior year. In 2017, all-up participation, volunteer participation, and total dollars were the highest in the program’s history. In addition to having their donations and volunteer hours matched financially year-round, US-based employees can also participate in the company’s official Giving Campaign throughout October. During the campaign, many groups create team fundraising and volunteer events, such as bakes sales, dog and cat calendars, and microvolunteering events. And the company sponsors opportunities to get involved, such as a 5k, a car show, a golf tournament, and an auction. Popular past offers in the auction, which includes more than 1,000 items, were a minivan ride to Burgermaster with Chief Financial Officer Amy Hood and car karaoke with Chief People Officer Kathleen Hogan. The auction raised more than $1.5 million last year. For many employees and job applicants, the company’s giving benefit is on par in importance with keystone benefits that define work-life balance and job happiness. When my time is over on this planet, what will I say I really did to make an impact? That’s what I was looking for. “When I was thinking about coming here I asked myself, what do I really want to do?” said Alex Agudelo, a senior service engineer who volunteers on several fronts, including hosting a monthly Missing Maps mapathon. He and his 400-member team input critical missing data into digital maps to help first responders better respond to crises in vulnerable areas. The freedom employees have to choose whether they want to get involved, how, and how much is at the heart of the giving ethos at the company. Some employees want to mail a check or donate through a direct deposit from their paycheck. Others want to volunteer on their own time, once or twice or four dozen times a year, or to give both time and money. Some launch their own nonprofits. Others still meld their giving more explicitly with their jobs. For example, Sarah Potter, a senior hardware program manager with Xbox, not only serves on several nonprofit boards and visits schools to introduce underrepresented students to STEM but also hosts tours and hardware demos in her building on Microsoft’s main campus. Sarah Potter (far right), a senior hardware program manager for Xbox, serves on boards and volunteers to talk to students about technology. Potter recently showed her collection of Xbox hardware to students from Technology Access Foundation Academy, a STEM-focused school, quizzing them on Xbox trivia and taking apart devices to show them what's inside. Potter's passion for engaging youth, especially those from underrepresented communities, comes from her upbringing. Her parents supported her interest in building things and taking them apart. Potter said her parents emphasized her ability to succeed in STEM, encouragement that followed her to Stanford and into her career. "That outlook that I had all along has come to a culmination at Microsoft," she said. While her job is in technology, Potter says it's her real path in life to help youth through mentorship. Her career success doesn't mean anything, she said, "if I don't bring people with me." Leaders of the giving program are often asked by their counterparts at other companies and within the philanthropy industry how Microsoft achieves such high participation. Simply put, they say that the small giving team runs the program like a well-oiled machine with a mandate not only to benefit the nonprofits, but also to serve employees who want to contribute their time, talents, and money for good. To give them that kind of program, the team is strategic, analyzing the best time of the best day to email employees about giving opportunities and benefits (a communication that boasts an 80 percent open rate); conducting surveys about which activities to add; and remaining flexible in order to highlight the causes that employees rank most important to them (currently education and humanitarian issues are at the top of that list). 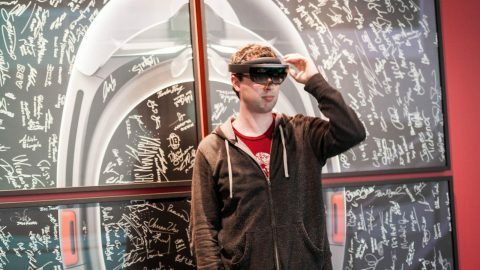 For instance, recent years have shown just how deeply employees at Microsoft care about being able to act quickly when a natural disaster occurs. When a devastating earthquake or hurricane strikes, the team works with colleagues to identify opportunities to help and upload those onto the digital giving platform as soon as possible, so employees can immediately get involved. Last year, $3.7 million was raised through employee giving and company matching for natural disasters, including hurricanes Maria, Harvey, and Irma; the California wildfires; and the earthquake in Ecuador. When employees requested more family-friendly volunteer opportunities, the giving team presented them. When employees responded positively to more one-time, quick-hit volunteer activities, such as packing first aid kits with their work team on a lunch break, giving leaders figured out how to work with more partner organizations that needed that type of help. 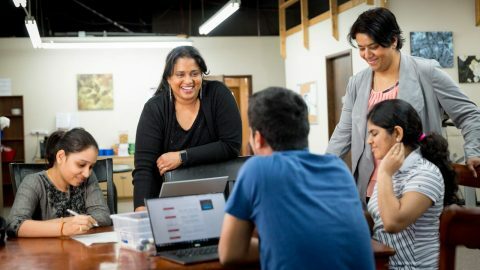 In addition to evolving by responding to employees’ wants and needs, Microsoft’s giving program has become deeply intertwined with the company’s culture by being run in large part by employees who are serving in key roles. The hundreds of employee volunteers who help run the giving program have allowed the program to scale, diversify, and reach across the globe. This happens primarily through two programs. Through the Vice President Appointed Lead (VPAL) program, about 250–300 employees each year agree to lead volunteer efforts for their teams around the United States, creating events, selecting causes to support, and surveying their peers to see where their passions and talents lay. In turn, they recruit virtual teams to support them. Last year, 1,500 employees volunteered to help scale the October campaign. And through the Loaned Professional (LP) program, six or seven Microsoft employees are selected and gain approval from their managers to take a four-month leave from their regular jobs to help run the giving program during the months leading up to October. These LPs support the VPALs, make connections to nonprofits, and help arrange events from gigantic to modest—all in a whirlwind quarter when they learn how to run key components of the giving campaign while they do it. La Shanda Hurst labels library books and leads the Microsoft Philanthropies team Day of Caring project at the Rainier Vista Boys and Girls Club in Seattle. A large part of the culture of giving at the company is driven by storytelling. Personal stories about why people volunteer or give, which many employees eventually begin to tell one another, ricochet around the company. Stories such as Laney’s. His mom was a schoolteacher who had a lot on her plate but who still found time to help underserved students and families in the community. She came through nearly every time someone needed her—feeding people, driving them to doctors, and supplementing the needs of the students in her school. Later, Laney carried that ethos forward, volunteering at summer camp for at-risk youth. He grew up surrounded by love—meeting people who didn’t “had a big effect on me,” he said. Stories like this are in many ways the key to what gets more employees engaged in some aspect of the giving program, said Dave Barnett, Microsoft Philanthropies program manager who manages the LPs. Mike Powers had always loved dogs, but it wasn't until he lost his dog, Emma, to cancer that he realized how magical dogs can be as emotional and physical support. After seeing a Give poster in his building at Microsoft, he decided to begin volunteering with Summit Assistance Dogs, a nonprofit that provides service dogs for people who have disabilities. Powers (pictured with Mabel) attended Bergin University of Canine Studies to learn dog training and more. He named three puppies in Microsoft’s honor: Skype, Sequel, and Tera (for terabyte). Powers, a principal service engineer, (sitting with dog Theo) also fosters dogs for Summit, and each one gets its own Microsoft badge and some real-world experience coming into work. While taking care of his first foster dog, Powers found something he didn’t expect. "People came up to me and wanted to know about the dog. Scout, helped break down social barriers," Powers said. Even as Microsoft’s giving program continues to increase dollars and participation and weave the “doing good” ethos tighter into company culture, leaders want to make it even easier to access and have more impact. The giving team is working on making product donation easier for employees as well as increasing options for microvolunteering—60-to-90-minute sessions in which teams can pack hygiene kits or make sandwiches for those experiencing homelessness, act as a focus group for a nonprofit, or refresh devices for donation. Are we showing up how and when our senior leaders and employees want us to? Are we doing it—all of it—excellently? . . . We have fire in our bellies. We want to leave a legacy. The company is also working on making it easier for employees to use their professional skills to benefit others, said Brewer, who as head of employee volunteering is focused on creating a year-round, innovative culture of volunteerism. Employees donate their skills now, but the team wants to apply its learnings and resources to scale that. If the program continues to evolve as it has, said McGovern, it’s on track to reach $2 billion of total dollars given (including match) in 2020. It reached $1 billion in 2012 and $1.6 billion in 2017. “As our company has grown and employees continue to be generous, we’ll reach that second billion so much more quickly,” she said. At the core of those dollars and hours given are the thousands of individual stories of people following their passions and the impact of those acts.